As we see the last few weeks of Winter I'm sure like me, many of you find that it's hard finding good quality fresh fruit in your local stores these days. Although fruit is always in our grocery stores, they never taste as good as they do when they are in season. February is National Canned Food Month. So why not substitute the fresh fruit you would normally eat with the fruit that's been canned? This is a great way to make sure your family is still getting their dose of daily fruit. Recently California Cling Peach Board did a survey showing that almost two thirds of Canadians think that the canning process affects the nutritional content of the peaches, which is not true. The canning process has been proven to increase nutrients. A recent study reveals that canned peaches compared to fresh peaches are Higher in antioxidants and Vitamin A, Nearly four times higher in Vitamin C and Ten times higher in folate. 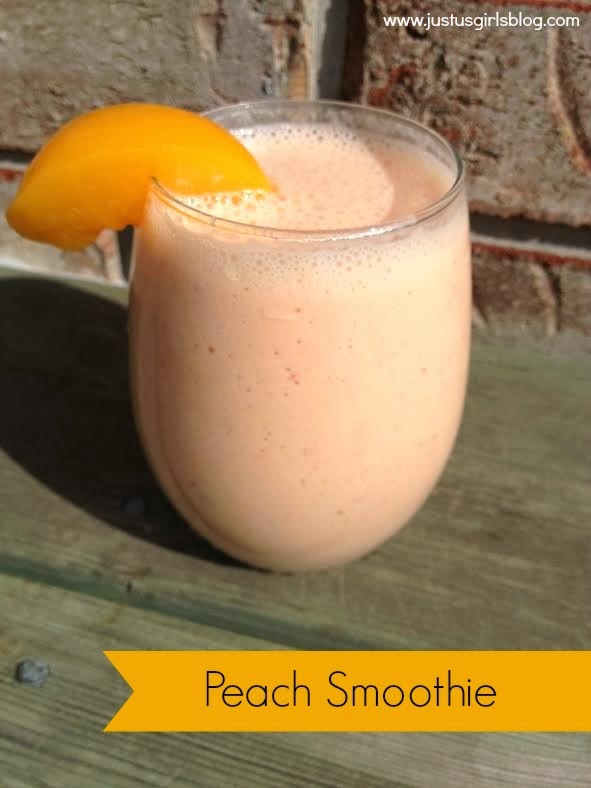 That's why this week's Thirsty Thursday will be this delicious and healthy Peach Smoothie that will have you feeling both nourished and energized to get through the rest of these weeks left of Winter. There are tons of recipes you can use with canned peaches. I know for me when Peaches aren't in season and I'm craving for a peach dessert, I often replace fresh peaches with canned. What are some of your favorite recipes to make with peaches? Directions: Combine all ingredients in a blender and pour into a glass. Disclosure: All opinions are my own. I received a Sobey's gift card to create the above mentioned recipe and to share info on National Canned Food Month. No other compensation was received.